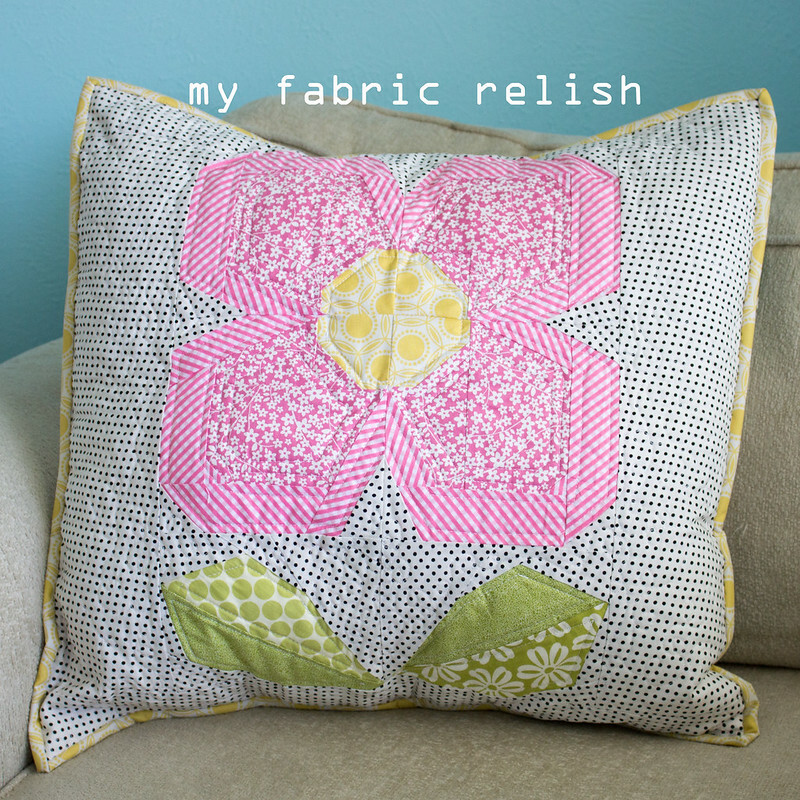 This week is the Swedish Bloom quilt for Zakka 2.0. 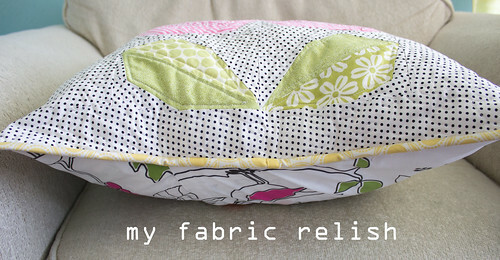 Moving right along :) I decided to just make a quilted pillow this week. I know, total slacker. While I would love to make the full quilt someday, it just wasn't going to happen this week and I'm sad. I started the paper piecing Saturday and finished it up yesterday. I ran into some troubles while quilting this one. Not sure what was going on but think my spray baste was reeking havoc on my needle, which hasn't happened in a long time! So what should have taken me less than an hour took me 3...grrr! I felt so defeated when I went to bed. I hate that feeling. Monday was a new day and I was able to clean up all the skipped stiches, add the backing and bind ALL during little relish's nap AND even catch up on some of my DVR'd shows. Yippee! This morning when I was sitting with the girls eating breakfast and browsing Flickr to see how many over achievers were out there and already completed this weeks challenge. 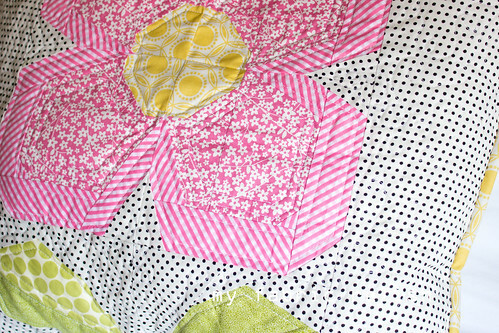 This is what I found... Swedish Bloom Quilt by verykerryberry's blog . EEEEEK! I was in LOVE! I am still thinking about that quilt with such envy. I wish there were more hours in the day and sleep was overrated. But there aren't and I need my sleep! Thanks for visiting and feel free to follow me on bloglovin! 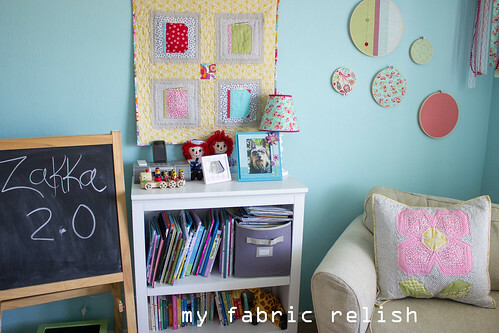 Linking up with all the awesome parties on the right and Crazy Mom Quilts! I love this! Perfect combination of fabrics!! Thanks! 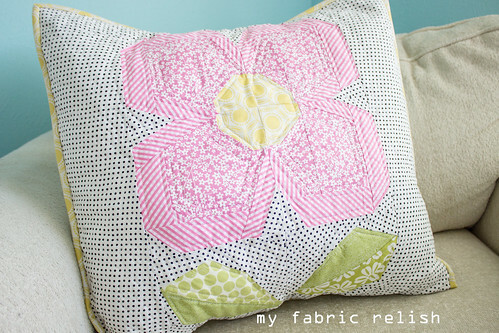 I'm wishing I did a more saturated pink on the flower but goes nicely with the wall quilt. Thanks for stopping by and leaving a comment. Have a great week!! Melissa, your pillow is adorable! I wish it was mine! Love the polka-dot background and the pretty pinks. Your blog is so much fun to read. Aww, thanks Debbie! Im so glad you enjoy my blog...it truly makes me happy to hear that. Thanks for stopping by and leaving a comment! thank you thank you! it is definitely on my wish list! just making one flower was so much fun. if only we could quilt as fast as our brains would let us..haha! You have a very nice blog, with crisp clean projects. Love your pinky colors and your cute little girls. thank you so much! im glad you like my blog and projects and my girls! They sure do make it fun to create for them. Thanks for stopping by and leaving a comment, too. Happy Friday! 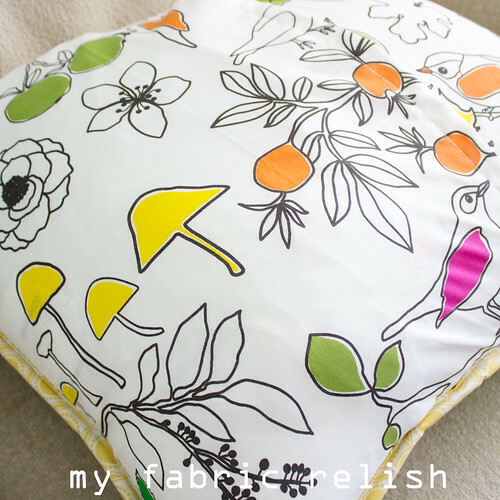 Awesome pillow, and color choices! Ha ha, t-shirt at buffet LOL!!! never heard that expression before! Your cushion is very adorable! Congratulation on the finish! I adore your pillow! Perfectly fun and cheerful!